Tanner’s Team Foundation was honored to have been able to help Luke and his family during their difficult time! 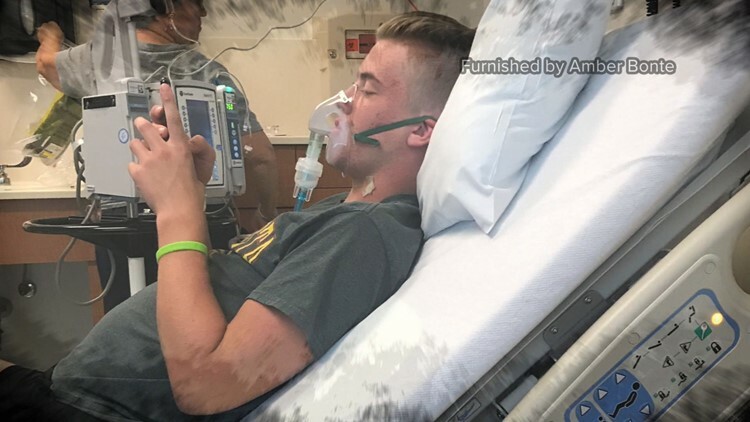 The legacy of a boy from Sauk Rapids is now reaching the life of an 18-year-old senior at Alexandria Area High School and others with a life-threatening illness or injury. The boy is Tanner Fuls. Tanner died at age 11 on Nov. 27, 2010, from complications of myelodysplastic syndrome, a form of pre-leukemia often referred to as bone marrow failure disorder. Tanner's Team Foundation was created in 2011 by Tanner's parents, John and Cindy, as a way to help families with children fighting for their lives. The 18-year-old is Josh Molden. On Sept. 12, 2016, he was diagnosed with acute lymphoblastic leukemia, also known as ALL. Molden recently received a bone marrow transplant.